I’m so proud to be in the top ten (with Gwyneth Paltrow!) 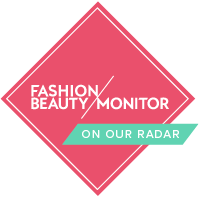 as a top organic/natural beauty influencer with Fashion Beauty Monitor. I’m so passionate about the work that I do, bringing natural health and eco products and services into the mainstream and so I’m thrilled to be alongside some really great influencers! 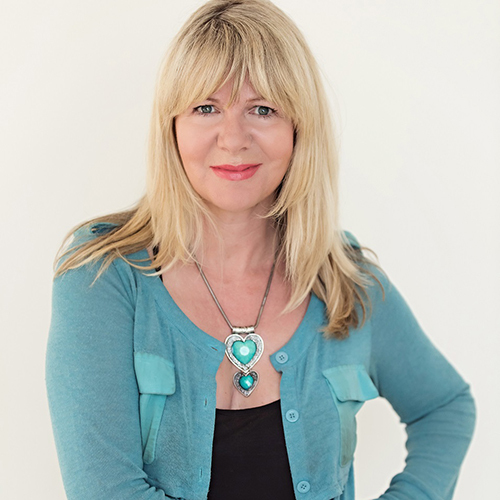 DJ, author, singer and natural beauty advocate Jane Lee Grace pens her tips for living a chemical-free life over on her blog Imperfectly Natural, where she also hosts the Janey Loves Platinum Awards. She has also topped the Natural Beauty Year Book several times. If you’ve heard me speak you will know one of my strategic 4 ‘C’s is Content Creation (the others are Clarity, Confidence and Connections) and in addition to encouraging experts, entrepreneurs and small business owners to create great informative content to connect with their potential clients and customers, I also talk about the fact that writing a book in order to share your message and promote your work can be a brilliant calling card. I usually give the example of working in a newsroom or TV production office where when an expert is needed to comment on a specific topic, if no-one immediately springs to mind they would then start googling authors who have written on the subject – the assumption is that if you have written a book you are an expert on the topic. Sometimes in order to get you going all you need is some encouragement and support. I’m thrilled that one of our sponsors in the Platinum Awards is AuthorCraft, a network founded by Chris Day, which is very much about supporting writers whether they self-publish or are with a mainstream publishing company. AuthorCraft is the professional network for authors and is a member of the National Association of Writers Groups. At its monthly meetings in the Institute of Directors, London, it recognises the achievements of its members by holding book launches and provides independent and impartial advice on all aspects of origination, production, publishing, marketing and social media. 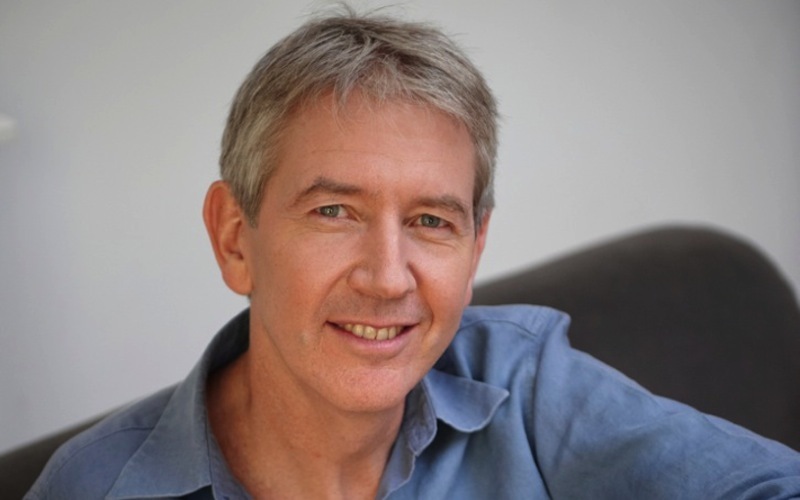 Chris Day gives his top tips for would be authors …. Don’t start writing until you have complete clarity of who you are writing for – and what benefit they will get from your book. Be clear as to what potential readers are searching for online – for which your book has the answer. 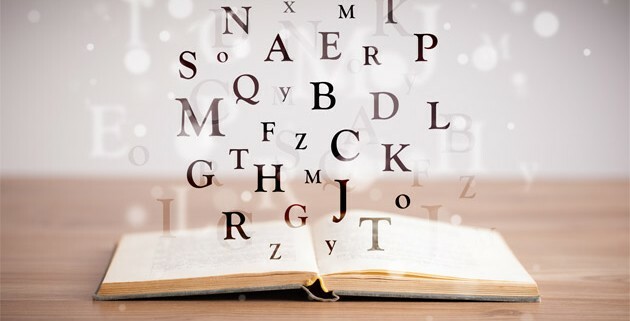 What key words will your book need to have for it to be found in these searches? Always work with a writing coach or an editor to help bring out the best in you – and get your manuscript well-polished and ‘oven-ready’. Never do your own proof reading or rely on a relative who was once a teacher. Proofreading is a professional job, don’t cut corners or spend the rest of your life apologising for typos! Unless you’re a qualified designer, don’t design you own book cover. People can spot a ‘self-published book’ from two streets away. A professional design is essential. The most important thing on your book cover is not the picture, but the heading, the title and the strapline. These three need to tell an unambiguous story. Choose your book category with care. Look at other books similar to yours and see what categories they are in. If you’re after the same readers, be where they are looking! Never fill you garage with boxes of books. These days you don’t need to as you can print to order. But buy well. For your book to make you a profit the raw print price has to be below 20% of the cover price. You just need to shop around. Every new book is a start-up business and needs to be treated just like any other new business. Your business start-up costs need to be spread over your first year. Make sure you make a profit from every book you sell. Become known on social media as a go-to expert in your field. You would not believe the difference to your standing in the marketplace that becoming a published author will achieve. Create the book that puts YOU and your brand on the map! In 6 months, plan, design, write and PUBLISH hard and digital copies. Shann Jones never expected to fall in love with a Welsh farmer at the age of 41. She didn’t anticipate leaving her city girl existence as a radio talk show host in San Francisco to end up as the mistress of a 25-acre self-sustaining farm in Wales. And she certainly didn’t expect to find herself locked in a battle to save her husband’s life from a deadly superbug infection, armed only with natural remedies and the live culture drink they make on the farm. 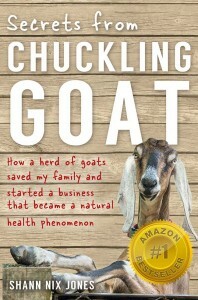 Secrets from Chuckling Goat is a true story, taken from Shann’s diaries. It’s about second-chance love stories, and happy endings that pop up when you least expect them. It’s a story about nature, and farm life, and ancient recipes. And most of all, it’s about the miracles that can happen when you refuse to give up hope. In this interview I speak with Patrick Holford about the role of prevention in Alzheimer’s and Dementia. Patrick is a pioneer in new approaches to health and nutrition. He is a leading spokesman on nutrition in the media, specialising in the field of mental health and is the author of 36 books, translated into over 30 languages and selling millions of copies worldwide, including The Optimum Nutrition Bible, The Low GL-Diet Bible, Optimum Nutrition for the Mind and The 10 Secrets of 100% Healthy People, 10 Secrets of Healthy Ageing and Good Medicine. What Are the Barriers to Confidence? 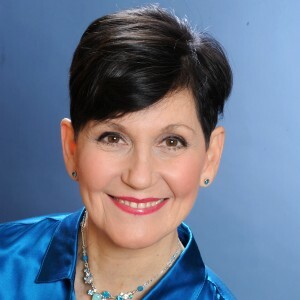 If you have heard me speak recently or attended a workshop you will know I am passionate about encouraging people to nail exactly how they will get their message across, whether this is your business brand, your personal brand or something that you are really passionate about, it must feel authentic. So what is it that holds us back from standing in the spotlight? From promoting yourself or getting the job of your dreams? I know many experts, small business owners and entrepreneurs (even very successful ones) who have turned down the opportunity to speak, be interviewed or pitch their brand to an influential team. Usually it’s lack of confidence, the nagging voice in your head that says ‘people won’t want to listen to me, I don’t know how I will cope if someone heckles, I may stumble over my words or drop my notes’. The chances are that at some point when you were a child your confidence took a knock, perhaps you had to stand up and speak in class and someone laughed or you tried to tell a joke and no-one laughed. Most of us are aware of feelings of being judged, concerned about what people will think of us, this is all back to the power of the subconscious mind – most of us are not very kind to ourselves, and if we were to speak to a 5-year-old child the way we talk to ourselves we would be had up for abuse! We’ve all been there! The inner critic from our subconscious mind. But once you’ve acknowledged that you DO have an important message to share, a desire to promote what you do and who you are to a wider audience FOR THE GREATER GOOD OF US ALL then it’s time to find a way to conquer the fears and the inner talk. If you can drill down to your USP, identify your own unique qualities then you can start talking to your sub conscious mind and to others about your passion, about how you do feel confident to stand on stage or be interviewed about your subject because it’s such a thrill for you to talk about something you love. In fact, it’s your DUTY to get it out there. When your nerves come into play the trick is to talk to yourself a different way. Ask yourself whether the fear is really an old fear, linked to a childhood memory, or is it that you fear the particular group of people you are going to be speaking to? Whatever it is, challenge yourself, and come up with a new dialogue instead of letting your subconscious destroy your confidence. When you feel really solid on your subject matter then it becomes unshakable, so it really won’t matter if an audience didn’t particularly like you or the interviewer seems to ask purposely awkward questions. You will feel that confidence in yourself and know that your message is important, and if the audience seem uninterested – well that’s about them, not you. I remember I was once booked to speak at a conference for the Rotary club, when I arrived I realised I was sandwiched between several other celebrities and after dinner speakers and suddenly I realised that they had probably booked me because they knew I was a co-presenter on Steve Wright in the afternoon on Radio 2 and they knew I interviewed lots of big stars and celebs. I started to panic, I was there to talk about holistic living and offer tips and ideas from my first book Imperfectly Natural Woman and so hadn’t prepared anything else, my sub conscious mind said that I’d be mocked, ‘there’s no way they’re going to want to hear about eco laundry products and organic skincare’, the speaker before me was award winning actress Dame Anna Neagle! I told myself they would feel I was totally incongruent and out of touch with them, the audience was mostly middle aged gentlemen and their wives. Suddenly I stopped my subconscious chatter in its tracks and said to myself (or possibly out loud) ‘I’m passionate about my message, I know I will deliver an informative and entertaining talk and if it’s not what they were expecting – well hey – surprise!’ I practised a few techniques and visualised myself as a success. Well guess what, I went out, hit them with half an hour of tips and ideas for everything from avoiding artificial sweeteners to the importance of ditching the chemicals, using bi-carbonate of soda and white vinegar for cleaning, and how you can make a great facial scrub with oatmeal, though I say so myself I rocked it! Embarrassingly, the next speaker had to be delayed because there was such a massive queue to buy my book, I sold all the 300 books I’d taken along with me, and could probably have sold more! If I had let my nervous subconscious chatter destroy my confidence I dread to think what would have happened. I did however quickly ‘re-assess’ my talk. I delivered the same talk but with a nod towards the audience, this is sometimes called doing a quick audience analysis, in this case all I did was ‘up’ my ‘entertainment’ value, threw in a gag or two about working with celebrities and left out the section on the importance of breastfeeding! Effective speakers and communicators do ‘read’ their audience and match their behaviour, as you walk into the room you can decide whether to warm them up a bit and connect with them, telling a bit of an impromptu story as you set up your laptop or whatever, or are they shuffling in their seats wanting to really get on with it. But back on the confidence and the destructive inner talk that can so easily affect us. Really look at what your fears are…perhaps you’re saying to yourself … ‘I’ll stumble on some of my phrases…or I’ll be clumsy and drop my glass of water…whatever’. But from the audience’s perspective they won’t notice the stumbling, they will only connect with the passion that you have for your subject, how real you are, …whether you seem likable, and like someone they could get to know and trust – and so what if you spill the water, you’re human. 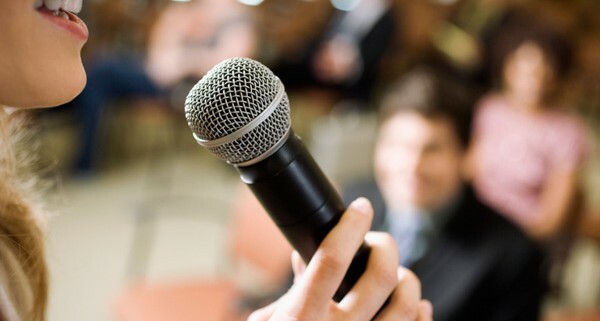 https://janeyleegrace.com/images/woman-public-speaking.jpg 400 600 Janey Lee Grace https://www.janeyleegrace.com/images/small-banner.jpg Janey Lee Grace2016-05-03 13:42:452016-05-03 13:42:45What Are the Barriers to Confidence? It was inspiring hearing Lynne McTaggart speak at the recent Hay House conference, Lynne is an author, a journalist, scientist, and editor of the long running publication ‘What doctors don’t tell you’ which is a magazine that reports on non-drug alternatives and takes a critical yet fully researched look at conventional medicine – specifically treatments or medication that may not be proven to be safe or effective. 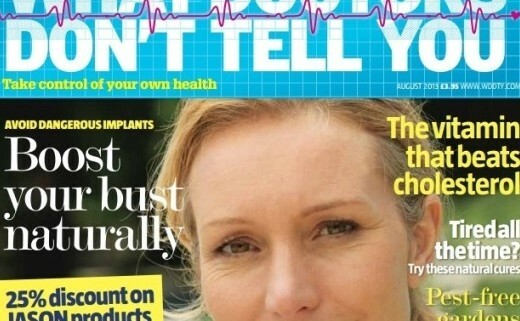 The magazine has attracted the attention of sceptics who are funded by Big Pharma, and after a big campaign The Times newspaper ran an article declaring that ‘What doctors don’t tell you’ was giving false information which could be fatal! There was a call for the magazine to be taken off the shelves and Tesco bowed to pressure, at no point were the editors contacted or given a right to reply, and so Lynne – instead of resorting to legal recourse, took the fight right back to them via the same channels. She harnessed the power of social networking and her own mailing list and used ‘people power’. Tesco bowed again and put the magazine back on the shelves. A current furore with WH Smith is ongoing and readers of the magazine or anyone who values free speech are being encouraged to write and encourage them to restock it. It’s surely time for us to take more personal responsibility for our own health and wellbeing and this magazine is an important information portal. What’s so inspirational about this rather unsettling story is that when Lynne harnessed her networks and wrote many messages to the Trolls and to The Times asking why in the name of good journalism they didn’t ask for her comments, they duly ran another piece using an image of the mag cover, and her sales promptly doubled! They do say that every cloud has a silver lining and Lynne encourages us all to be ‘people influencers’ to join forces with other likeminded people and spread positive messages, it’s easy to feel that sense of ‘it’s only little me’ – I can’t do anything that will make a difference’ but the power of ‘we’ can be very strong indeed. 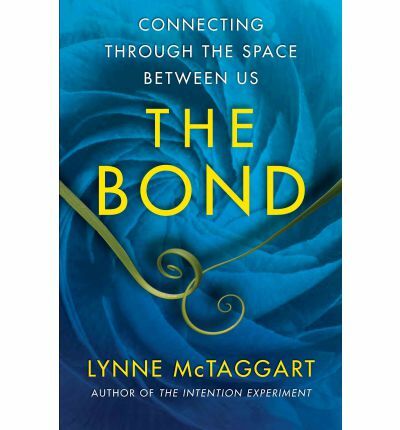 I highly recommend Lynne’s book ‘The Bond’ where she looks at the power of communities – find your tribe and get your positive messages out there. If you’ve attended one of my workshops, or invested in an online course or coaching programme with me you are absolutely part of my ‘tribe’. Make sure you join our exclusive Facebook group here where we truly have a powerful community, joint ventures, PR opportunities and support. I’d love to see you there. Have you got clarity on your goals? It’s amazing how many people don’t achieve what they say they want to achieve simply because they haven’t really set their intentions. It’s good to start by having a dream for your work and for your business. It may seem like a time wasting exercise, ‘don’t daydream’ most of us were told at school and yet being able to dream something brings it closer to our reality. Einstein was a dreamer, he probably would have been labelled as a child with learning difficulties if he had lived in our time, as he didn’t learn to read and write till quite late, but he daydreamed, and his greatest breakthrough was the theory of relativity – it came to him when he was daydreaming about what it would be like to ride a beam of light to the end of the universe. Dreaming is a right brain function and you shouldn’t waste the possibility of harnessing your imagination and visualisation on your sleeping hours, absolutely take some time out to dream, get yourself into a relaxed state perhaps by taking some deep breaths, it might help to imagine a white light flowing through your body enabling you to feel completely relaxed. From that state you can take your mind on a journey and ask yourself what is it that you really want? Don’t be too woolly about it though, if a genie or fairy godmother was able to deliver your dream exactly as you had asked for it, make sure there’s no room for error! Don’t make your one big goal – a space to work in….you may be given the edge of someone’s garage workbench, don’t say ‘I want to earn more money’…you may find your pay increases by just a few pounds…be specific, and if it’s a dream for your work or your business then make sure its detailed and will bring you the work life balance you really want. Don’t forget to commit it to paper too, mind maps, affirmations and vision boards are all brilliant to remind us where we are headed. At a Hay House conference recently one of the speakers gave the analogy of getting into a car and just setting off to go somewhere new, with no particular destination in mind, the truth is if you don’t put the postcode into the Sat Nav or open the map, who knows where you will end up! Of course having worked in radio and TV as an interviewer for over 20 years and having interviewed thousands of people, I can honestly say that those words never come to mind and even if an interview was conducted using them as a framework, they wouldn’t be in that order. However, when teaching a ‘How to Market Yourself’ workshop recently I shared these words with the delegates to help them ensure that they are prepared to be a great interviewee. Why you do what you do – what’s the emotion behind your work? What exactly do you do, what are your key messages? Where is it happening? – geographical info if it’s an event, or online etc. When? – if it’s a launch or date related event. How do you work – how do you deliver your product / service? So I’d urge you if you haven’t already, to do a practice run for if you’re asked those questions, prepare your answers and practice answering those questions (say it out loud, it’s muscle memory!) a few different ways so that you always sound spontaneous and not scripted. But here’s another use for these words, as I coached a client privately I realised that she was finding this preparation for being a great interviewee step tricky, not because she hadn’t quite honed her key messages or got her tongue around how best to describe her ‘USP’, that’s quite normal, but it was because her business had grown organically, she had almost fallen into it by accident because she had a real passion for helping other people and so retrained as a coach but hadn’t ever done the business plan or mapped out the strategy. It’s true for so many ‘heart centred’ businesses, we just find ourselves with our own business often by accident, clients get recommended and suddenly we’re off! Sometimes it’s a while before we can take stock and recognise that we may have created something that wasn’t exactly what we wanted. So I’d urge you in addition to having your answers ready for the media, to take a long hard look at those questions in relation to how you feel about your work and the way your business works. What exactly is your USP? What is your business in a sentence and what’s your point of difference? Where do you usually work, and where are your clients or customers? This should be an easy one! Though if it’s currently one to one with clients, it might get you thinking how you could leverage your time and reach more people globally by offering Skype sessions, writing a book or creating an online programme. When is it happening? This question could help give you clarity on what you hope to achieve and by when, if you’re planning to write a book, even if its self-published – set yourself a deadline, it ensures you get cracking! If you’re launching a new product or programme prepare your marketing schedule ahead of the launch date. How does it all work together? Ask yourself how you will do it all? How do you access the help you need? Ask yourself ‘Is there something I still need to learn? Do I need more training, a partner or a joint venture? What’s The Story – Morning Glory! It will come as no surprise to tell you that how you start your day will definitely impact the outcome. If you have your own business, it’s likely that you are so entangled with the minutia it’s almost impossible not to wake up wondering if you sent off all the invoices or triggered the right social media campaigns. All of this can lead to burnout – I speak from experience! Take a leaf from the Masters, instead of allowing the negatives to pile in as you wake, make the conscious decision to start with the mindset that it’s going to be a great day, start with gratitude for what you already have and how blessed you are and you will sow the seeds to attract more abundance and blessings into your life. An easy way to start is just to think of three things you are grateful for, that gives you the energy and enthusiasm for the day ahead (even if things are not all rosy at the moment). So after you have ‘given thanks’ how should you use those first few minutes as you lie in bed? One great suggestion is to mentally rehearse how the day will be, visualise what you will do in what order, and exactly how it will look and feel, if you know you have a difficult meeting, see yourself feeling confident and happy as you come out of it, if you’re in the process of trying to lose weight or eat more healthily ‘see’ your radiant colourful avocado salad that you will eat at lunchtime…you get the picture. You can’t argue with someone as successful as Richard Branson, I don’t intend to ditch my to-do lists completely but I have recognised the power of that mental rehearsal at the beginning of the day, after all, writing out the route of a marathon or even writing…’run for two hours’…isn’t going to help you reach your goal, you need to actually do the run, in the same way writing out the notes for a piano piece won’t turn you into a virtuoso player, you need to actually play! Interestingly though it’s well documented that both athletes and musicians who visualise their performance in detail achieve a better outcome when they execute it. The message is clear, it is important to write down what needs to be done, preferably with a priority order, (your to-do list) and it’s really important to actually commit to DOING IT, rather than just writing it down, but by far the most productive exercise is to ‘see it’ first – so that you have already ‘lived’ through it…mental rehearsal is everything. https://janeyleegrace.com/images/Richard-Branson1.jpg 881 1200 Simon Etchell https://www.janeyleegrace.com/images/small-banner.jpg Simon Etchell2016-03-18 17:07:242016-03-18 17:07:24What’s The Story - Morning Glory! What’s Does Your Online Personal Brand Say About You? Over the years working with clients I’ve come to know that the key to achieving success in whatever field you’re in is about having the confidence and skills to differentiate yourself from the crowd and ‘put yourself out there’. That’s why I’m so thrilled to be running my one-day intensive workshop called ‘How to Market Yourself Personally and Professionally’. Social media is my souls calling… My dharma. I wrote a geeky and prophetic article in 1996, created a social media platform much like Facebook at University in 7BF (7 years before Facebook), won the first ever Gold “Internet Programme Award” at the Sony Radio Academy Awards in 2007 and have worked almost exclusively in Social Media for nearly 10 years under the guise of my business and alter ego Kdot. Online is not an easy space to navigate, it can be like getting lost in a country where you don’t speak the language or being stood in a corridor with a hundred doors to choose from. There is this virtual landscape existing alongside us. With smart devices in hand, we spend our lives straddling online and offline, blending the two. There has been such a deep digital integration into our lives, which has happened gradually over the past 30 or so years. We are all on some level living digital lives, using it to run businesses, communicate and connect, in a multitude of different ways. We connect with the many as well as the few – and everything in between! These channels are connection points, tools, platforms, spaces for us to gather together across time and space in order to share, collaborate, teach, sell or whatever you want to use it for. We should stop thinking of it as something that is separate that we have to “DO” and welcome it – and honour the integration by finding a way that works for us to “BE” online – that is right for us and our businesses. For each and every one of us it will be different based as it is based on a multitude of things – so we should stop the comparison and focus on the right strategy for us. Your audience can feel you and your content / conversations / broadcasts / comments / posts on an energetic level through social media. Think about the posts and emails that you see every day – how do they make you feel? Can you sense the energy from the post and the person? It is beaming out of the screen at you – this is why people don’t engage with sales posts and emails in the same way on social media anymore, because they are generally too generic, formulaic – so they don’t resonate with people – and we switch off quickly due to so many things vying for our attention. I recently wrote a post about this and the responses on social media to it were very interesting even though I was a bit nervous about posting it. If you can get into a good space to create authentic content that shares your message, gifts and expertise on social media, doing it from a place of love and service then you won’t need to try hard or have to create manipulative sales posts – because your authenticity will do the selling for you. If you are good at what you do people will want to work with you online and offline! I have a formula I go to when I start working with any clients… which is… LOVE, SERVICE, JOY and EASE. And in order to make things easy, I use a simple weekly content planner to map out: https://socialmediaangel.leadpages.co/sma-weekly-planner-download/ to create and schedule content for social media. You can download an example with an explanation of how to best use it, alongside an empty one you can fill in yourself. I use this with all my clients and they love its simplicity. I hope you do too! Book now to reserve your place! (please note that there are limited places available). 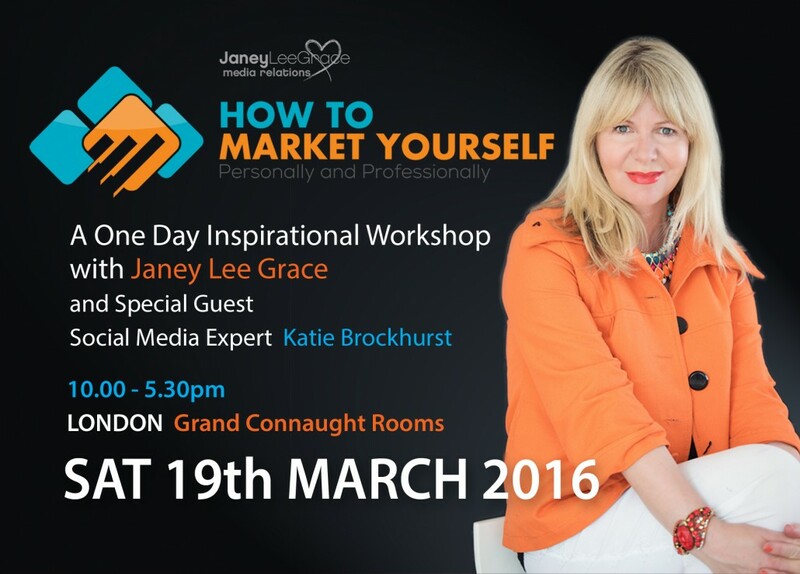 https://janeyleegrace.com/images/build-your-brand.jpg 838 1280 Janey Lee Grace https://www.janeyleegrace.com/images/small-banner.jpg Janey Lee Grace2016-03-07 12:02:482016-03-07 12:08:21What’s Does Your Online Personal Brand Say About You?